The zoo police would have some serious power in this case. "Beatrice, the Smith family who checked out the lion, they are LONG OVERDUE, best sic the zoo police on them." "Oh, they called and said they lost the lion and will pay to replace it." 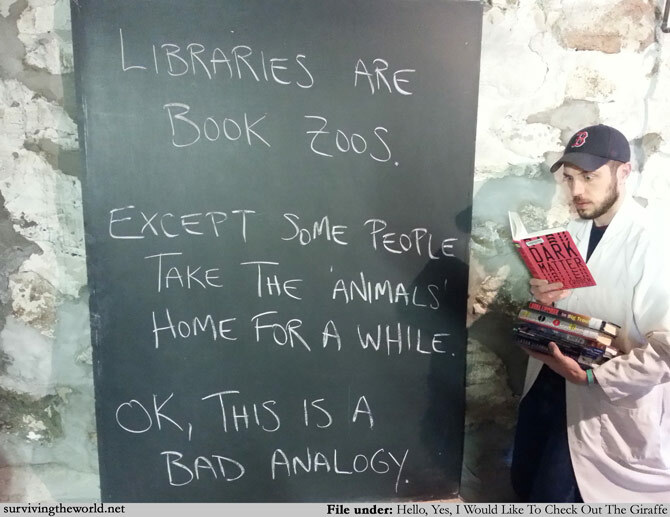 "THEY WHAT"
Both a book zoo and an animal library are very fun concepts to think about, though, so consider that my gift to you today.